N. Katayama, S. Tosaka, T. Yamanaka, M. Hayase, K. Dowaki, and S. Kogoshi, “New Topology for DC-DC Converters Used in Fuel Cell-Electric Double Layer Capacitor Hybrid Power Source Systems for Mobile Devices,” IEEE Trans. on Ind. Applicat., vol. 52, no. 1, pp. 313–321, 2016. T. Yamanaka, S. Tosaka, N. Katayama, and S. Kogoshi, “Implementation of Energy Management Method Using IIR Filter to Fuel Cell-Supercapacitor Hybrid Power Source System,” presented at the International Conference on Electrical Engineering 2014, Jeju, Korea, 2014, pp. 1494–1499. 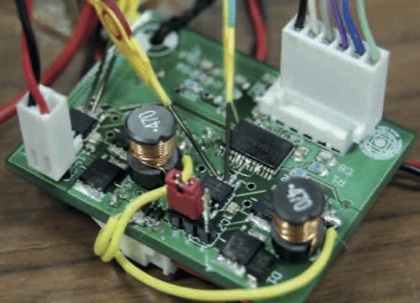 S. Tosaka, T. Yamanaka, N. Katayama, M. Hayase, K. Dowaki, and S. Kogoshi, “Developing a new topology for the DC-DC converter used in fuel cell-electric double layer capacitor hybrid power source system for mobile devices,” presented at the 2014 International Power Electronics Conference (IPEC-Hiroshima 2014 ECCE-ASIA), Hiroshima, 2014, pp. 1207–1213. H. Hoshi, Y. Aisaka, N. Katayama, and N. Hoshi, “Control method of multiple power converter to reduce deterioration of fuel cells,” presented at the IEEE 7th International Electric Vehicle Conference, Florence, Italy, 2014, pp. 1–7.